Making plans for a Windsor – Essex “Staycation” this March Break? 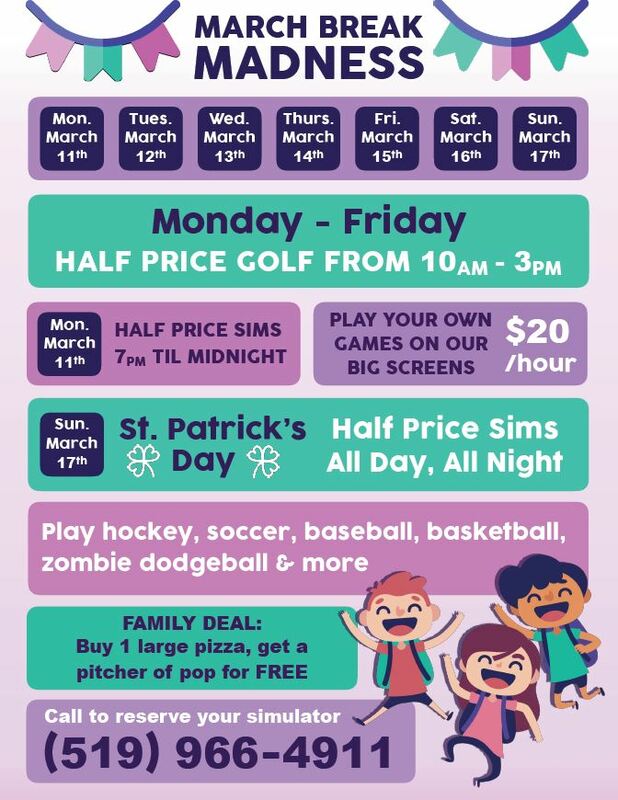 Looking for active, family-friendly St. Patrick’s Day fun? 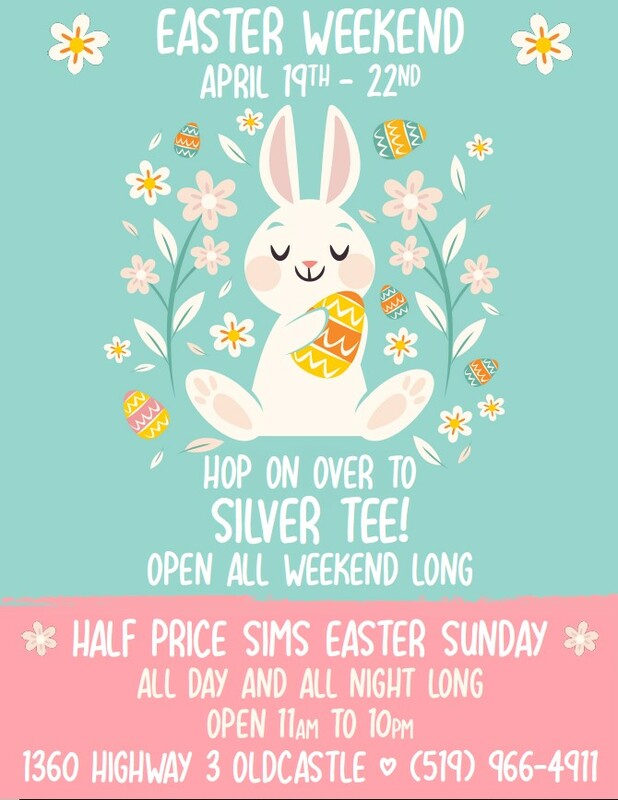 Silver Tee has you covered! Join us on Sunday, March 17th for our annual St. Patrick’s Day Celebration! Perfect for your friends and family friendly. 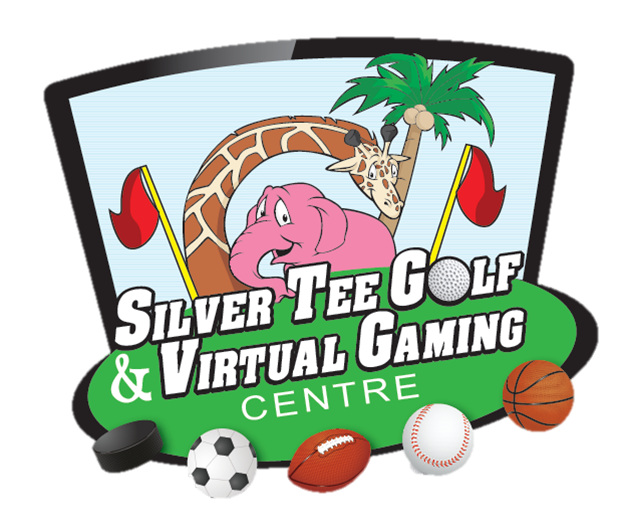 Enjoy March Break At Silver Tee! Looking forward to American Thanksgiving? Perfect! Want to stay local, avoid the border, but join in the festivities? Awesome! 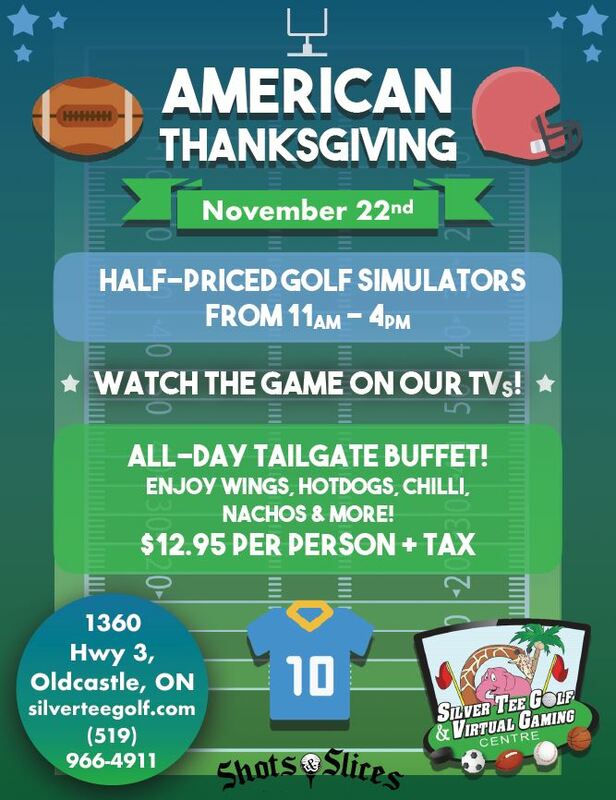 We have fantastic American Thanksgiving party planned for you here at Silver Tee and Shots & Slices! Take part in our “All Day Tailgate Buffet” for only $12,95 per person! Take the day off of work, tell your friends and come out and experience American Thanksgiving at Silver Tee on Thursday, November 22nd! 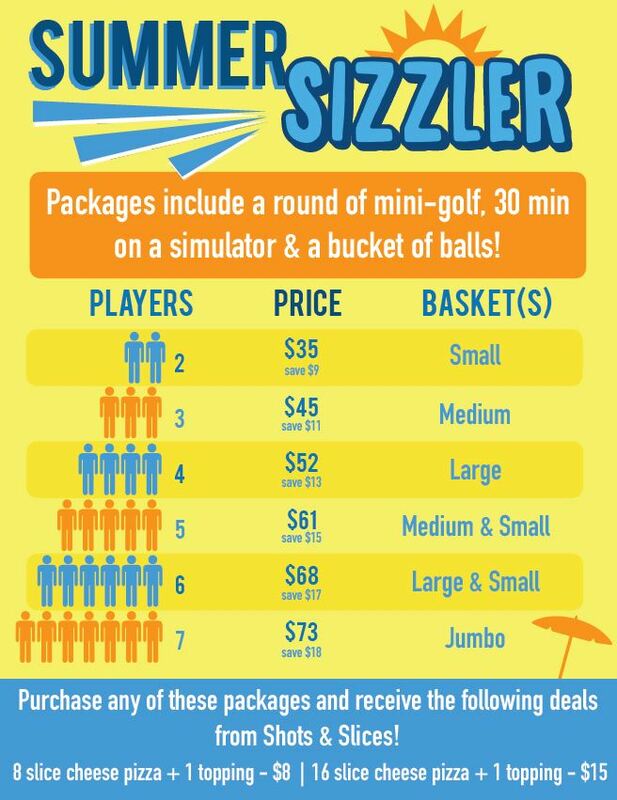 Great Fun and a Fantastic Deal! Sizzling Summer Specials Are Back! We’re happy to announce that our fantastic Sizzling Summer Specials are now in effect! 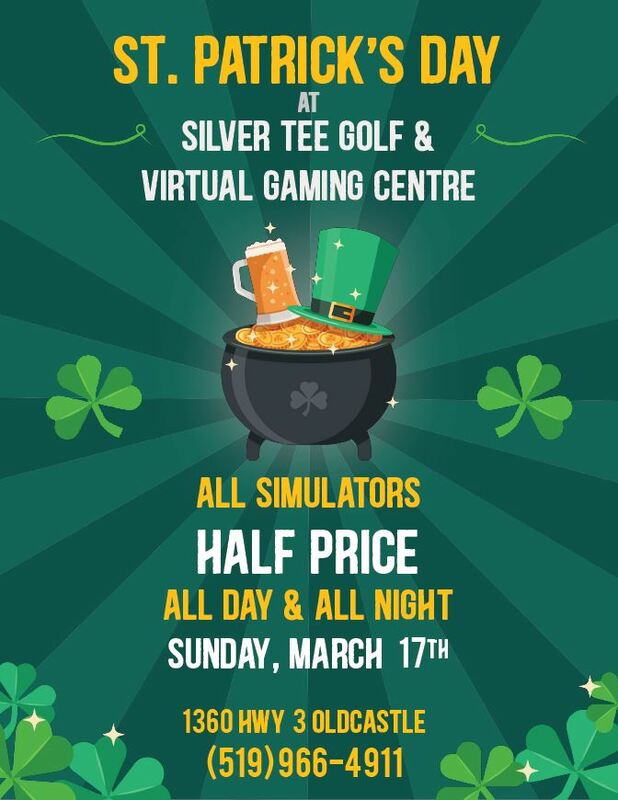 We’re pleased to offer you a great deal on packages for the driving range, mini golf, virtual games/sports and food by Shots & Slices.